We have supported Pack for a Purpose for many years, so when we decided to visit Cartagena immediately went to the PfaP website to find local charities. Cartagena highlights the contrasts of tourism. The color and lights of the old colonial town, alongside the desperate need for supplies. We talked to Barbara from Vacation Rentals of Cartagena and she had a brilliant suggestion: new undergarments, something that few of us think about when we travel. 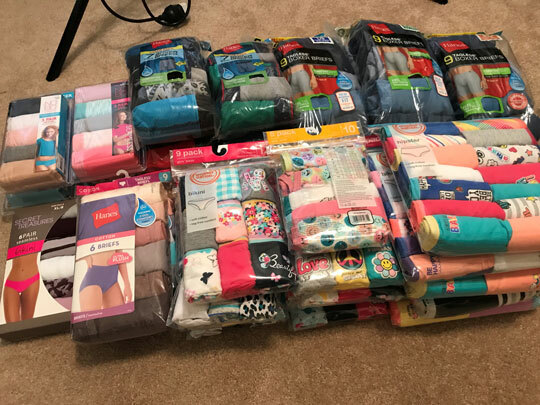 Twenty pounds of new underwear were stuffed into our luggage, over 240 pairs! We are so honored to help Amigos Del Mar and meet wonderful people like Barbara. Thank you Pack for a Purpose!